Cousins' latest two solo releases have the masterful Strawbs leader and songwriter in two very different settings, yet his muse is entirely comfortable in both. Throughout these two discs, his songwriting has never been stronger, the lyrics positively brilliant, and his voice suits his troubadour folk style perfectly, and when the material branches out to rock, pop and even country flavored material, he is equally adaptable. 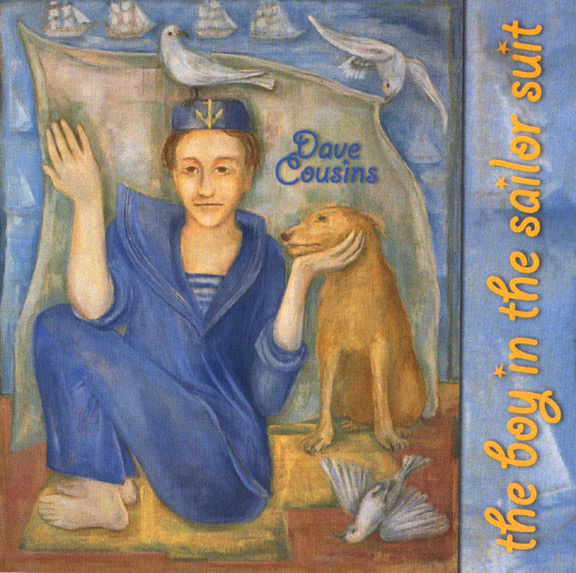 The Boy in the Sailor Suit explores all of these styles and more with a four piece backing band which includes longtime associates Miller Anderson (guitar) and Chas Cronk (bass), as well as Ian Cutler (fiddle) and drummer Chris Hunt, along with other guests on keys and backing vocals. He occasionally falls back on more intimate folksongs throughout the set, to bring it all back home so to speak; "The Smile You Left Behind" is one of those, a gentle ballad of amazing warmth, supported only by Cousins' acoustic guitar and tastefully applied violin. "Calling out My Name" approaches a more pop sound, with a catchy melody and harmonized backing voices. Several of the tunes are full-on rock arrangements that wouldn't sound too far out of place on any recent Strawbs album. 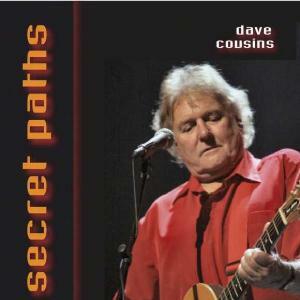 On Secret Paths, Cousins is joined by Melvin Duffy on pedal steel and Hawaiian guitar, offering new arrangements of songs old and new. The overall mood here is very intimate, warm and heartfelt; Duffy adds just enough support to accent Cousins' acoustic guitar and lyrics, but never so much as to overwhelm them. The end result is positively beautiful, be it on the most introspective pieces, or those with a bit more driving rhythm like the title cut. Among the standouts here are a new arrangements of "Josephine, for Better or for Worse" and "The Shepherd's Song," two songs that originally appeared on some of the earliest Strawbs albums; also of note are the lullaby "I'll Show You Where to Sleep," a song of even earlier vintage now brought to life like never before, and the beautifully descriptive "Canada," sung in both English and French. Those who appreciate the more folky side of Cousins' work would be advised to check out Secret Paths first, while those predisposed to the full band arrangements may want to go with The Boy in the Sailor Suit first. Both of these are excellent and essential.